An Edward R. Murrow award-winning journalist, Vassy Kapelos, widely recognized for the Ottawa Bureau Chief for Global News.She covers politics for all platforms, including our national broadcast, local broadcasts and online. She is also temporarily filling in as host of Global’s Sunday morning political affairs show "The West Block." Kapelos has a degree from the University of Western Ontario and an MA from Dalhousie University, both in political science. She has studied Canadian and South American politics widely. Her master’s thesis focused on the debt crisis in Argentina, and she has published work on counter-insurgency efforts in Colombia. Class discussions and essay assignments, where reading requirements were challenging, forced her to hone in on the heart of arguments and relevant facts. “My degree forced me to do that faster and better, and that was without question the most transferable skill I have today.” After graduating with her MA, she took a one-year journalism course at a community college to break into the industry. 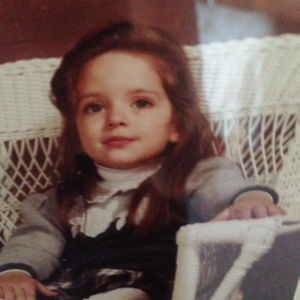 Contracting newsrooms and unprecedented cuts made her chosen field a tough one to get into. She began her career as a video journalist at Southwest TV News IN Swift Current, SK. Kapelos worked from October 2007 to September 2008. Kapelos admits that she found the stories she was assigned at the local level to be a bit frustrating. “I remember thinking I spent time being so challenged at Dal, and here I was doing stories on fundraisers and crosswalks. It was a humbling experience to have.” Humbling, but one she says she wouldn’t trade. 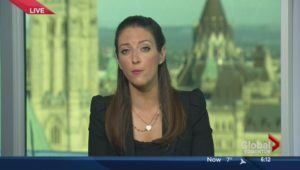 From Swift Current, she headed to Saskatoon and Edmonton, where she got her first taste of political journalism as Global’s legislative reporter and anchor for Global Television Saskatoon. She experienced for the first time the kind of effect reliable reporting can have on people’s lives. Her investigative exposé of the ambulance industry in Alberta, which she revealed was underresourced and put people’s lives at risk, forced a provincial review of the entire system. She worked there from October 2008 to April 2010. Then she worked as a Reporter/Anchor for Global Television (AB) in Edmonton and Calgary from April 2010 to December 2013 Employment. 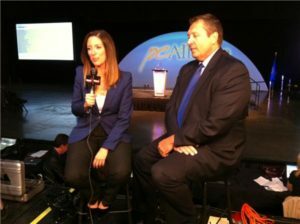 She was the Provincial Affairs Reporter for both Global Edmonton and Global Calgary, where she covered issues and events that affected the province, with a focus on politics. That included covering Alberta’s 2012 provincial election and writing/producing Code Red, a series on Alberta’s ambulance system crisis that forced an official provincial review. Besides that, she was also involved in exposing Premier Redford’s former Chief of Staff’s severance, a fight that resulted in a change of government policy and new rules for reporting income to the public. In 2013, she received the Edward R. Murrow Award for Best News Series for 'Code Red,' a series on Alberta’s ambulance system crisis that forced an official provincial review. Currently, she is serving as a Parliamentary Correspondent at Global National Ottawa, Canada. Kapelos has been working there since December 2013. She is also working as an Ottawa Bureau Chief for Global News in Ottawa, Ontario, Canada since August 2016. She covers politics for all platforms, including our national broadcast, local broadcasts and online. Kapelos also appears as a panelist and fill-in host on "The West Block" and acts as a correspondent for 16X9, Global News’ flagship current affairs news program. Most newly, Kapelos was on the scene when Canadians expressed shock at the unprecedented attack on Parliament in Ottawa that left two dead, many in lockdown and heightened security across the country. She avidly hosts and moderates panels for organizations that have included the Government Relations Institute of Canada, United Nations Association of Canada, Alberta Enterprise Group, Trudeau Foundation and Canadian International Council. In her spare time, she enjoys spending time with friends, family, and her PVR, baking, reading and avoiding exercise. Kapelos is a happily married woman. However, she has not revealed her husband's name on social sites. Kapelos holds a Canadian nationality and belongs to white ethnicity. She is active on social networking sites, where she frequently posts photos to her Instagram account. Kapelos is the winner of numerous accolades and awards in her journalism career. She has spent a long time on the network assuming different positions. She is currently the chief of the Ottawa bureau as well as the host of the West Block. Her attractive salary hails from her journalism career however her exact net worth has not yet disclosed.